In brief: 3D printing may finally be ready to live up to the lofty expectations many had for the technology thanks to a new advancement that uses light to vastly expedite printing times. Patents have already been filed for and plans are moving forward to commercialize the technique. 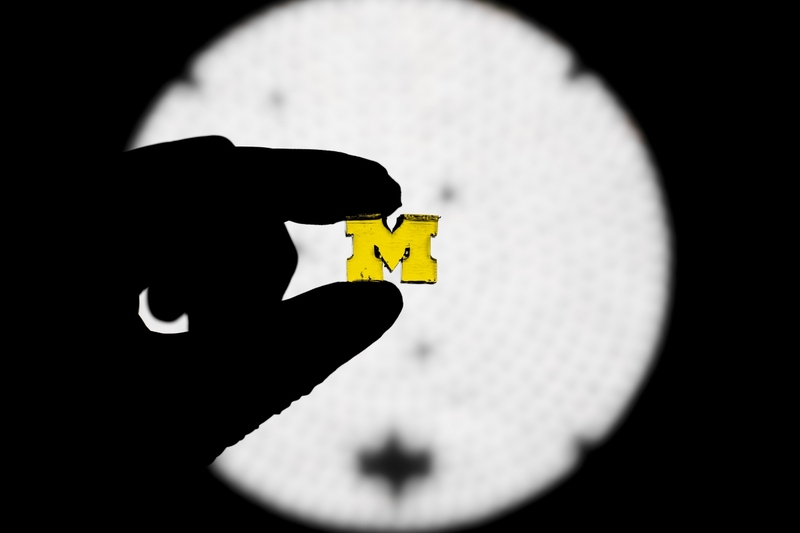 Researchers from the University of Michigan believe they have developed a new technique that could revolutionize traditional 3D printing by performing print jobs up to 100 times faster. Conventional 3D printing is a time-intensive process as objects are essentially built from the ground up using a series of one-dimensional lines. Because it takes so long, modern 3D printing really hasn’t disrupted traditional manufacturing as some predicted. Researchers from the school created a new method that uses two lights during the printing process – one to control where the resin hardens and another to help maintain its fluidity. This approach allows the team to create more sophisticated patterns and do so much more quickly. As the researchers highlight, the secret behind the technique is all in the chemistry. Walter White would be proud. Conventional methods rely on a photoactivator to harden the resin when light hits it. By adding in a photoinhibitor that responds to a different wavelength of light, the team is also able to keep the resin fluid when needed. The university has filed patent applications on the technique. Timothy Scott, an associate professor of chemical engineering and co-lead on the project, is working on a start-up to bring the approach to market. The team has published a paper on the method, “Rapid, continuous additive manufacturing by volumetric polymerization inhibition patterning,” in Science Advances.